Schnitzel and I go back eight years ago. The first time I met my mother in law which also happens to be eight years ago, she had invited me to dinner. My husband had obviously forgotten to mention I was a vegetarian. So there we were sitting on the table, delicious aromas permeating through the house and my stomach rumbling, waiting to devour a warm home cooked meal. Until I found out we were having chicken schnitzel and mash. Fearing that I would come across as high maintenance if I said I was vegetarian, I decided to eat the meal without saying a word. After all nothing pleases a cook more than to see an all clean after dinner plate. Eight years hence I can’t say I love chicken but I definitely love schnitzels, especially vegetarian schnitzels. 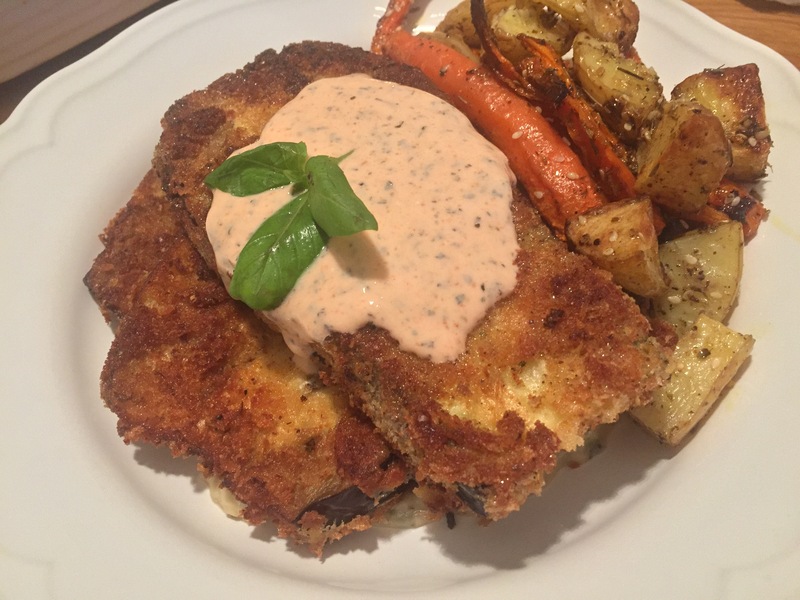 These eggplant schnitzels are just amazing. Light, crisp and succulent. Moreover no animal was killed or injured in the making of this dish. Prepare the eggplant by slicing it lengthwise down the middle. Then cut quarter inch slices and keep aside. Place flour, whisked eggs with milk and salt and breadcrumbs with oregano and paprika in separate bowls. 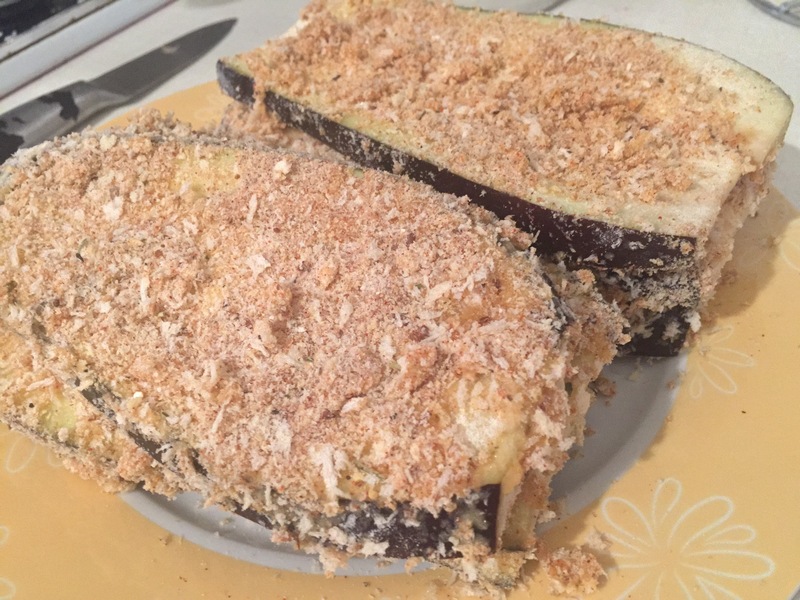 Coat the eggplant slices invidiually with flour, dip in egg wash and finally crumb them evenly. The schnitzels are ready to be fried. If you are vegan you can make a temupra batter with flour and water and then crumb the schnitzels. Heat one tablespoon EVOO in another pan. Add garlic, parsley and basil. Stir until aromatic. Now add butter beans and mix well, cook for seven to ten minutes on a low heat. Then add lemon juice, pepper and season with salt. Mash the beans until creamy. Finally add the remaining EVOO and mix well. 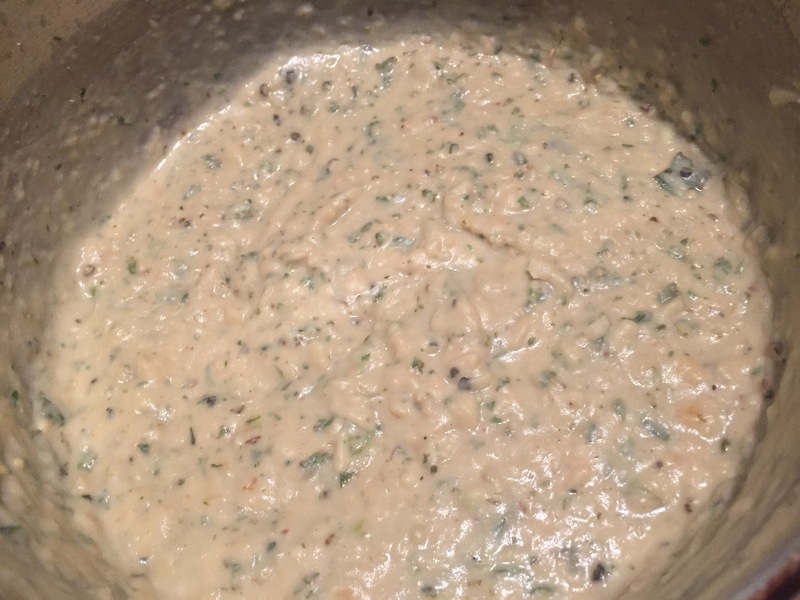 Your white bean mash is ready to serve. If you can’t get your hand on butter beans, you can use black eyed beans. In another pan heat oil in a pan to fry the schnitzels. 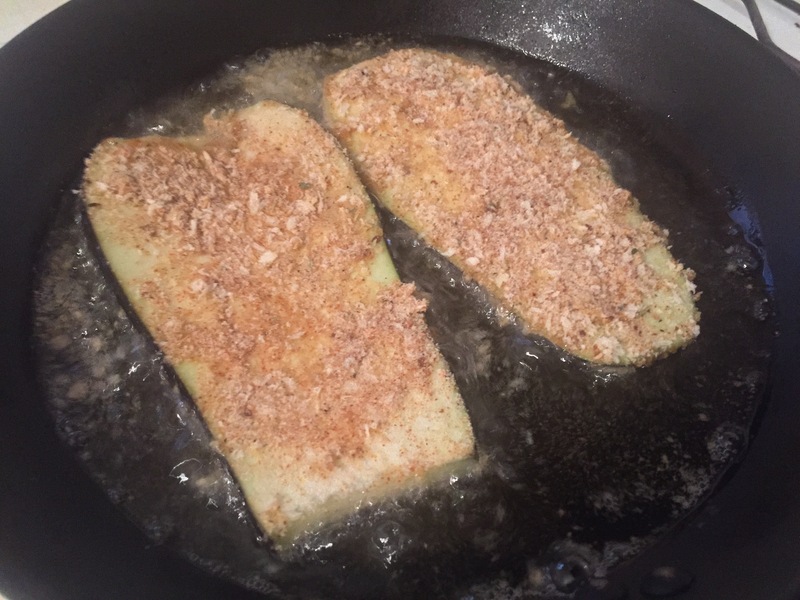 Fry the eggplant schnitzels on both sides until crispy. Finally for the aioli, mix all the ingredients in a bowl. Stir well. Now it’s time to bring this sensational dish together. Place a spoonful of mash on a plate. 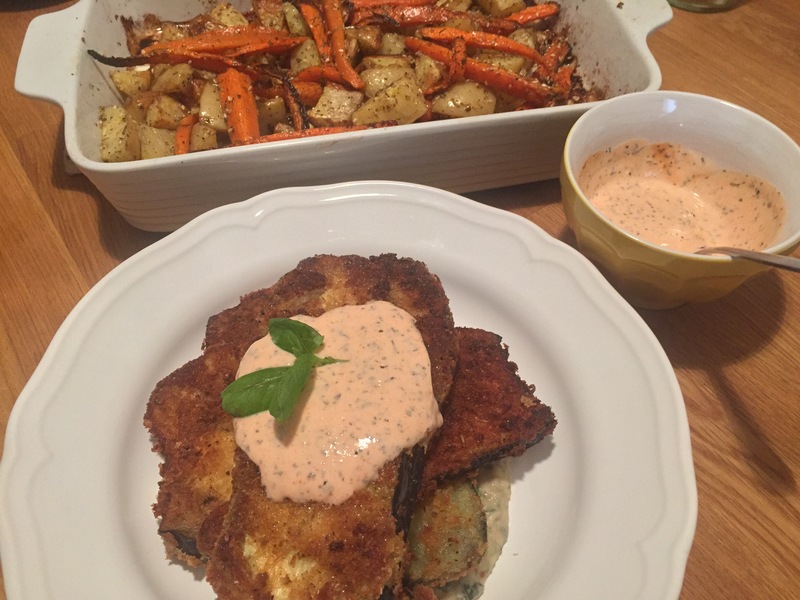 Place the schnitzels on top and finally top it up with the delicious aioli. Your lip smackingly delicious eggplant schnitzels are ready to serve.